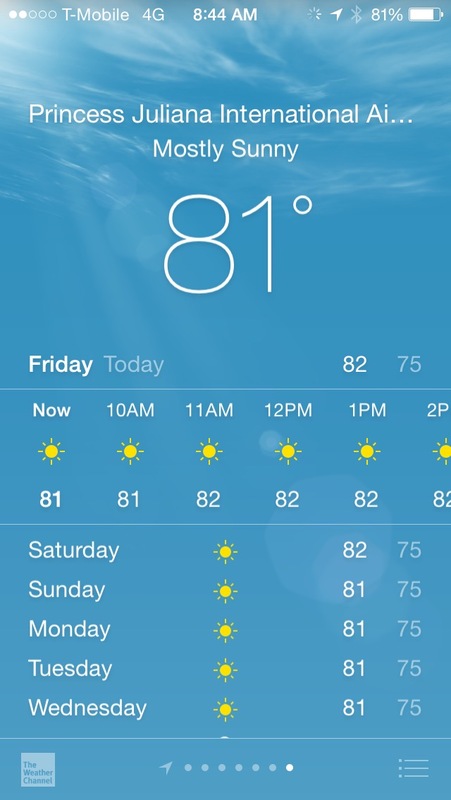 In honor of the blizzard hitting us tomorrow, I need to share some warmth with everyone. 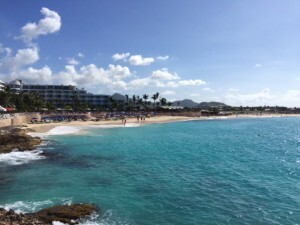 We got back from Sint Maarten (St. Maarten, St. Martin – Dutch side) on Tuesday night and it was an immediate rude awakening getting back into the swing of things with the cold, work, and marathon training. Our trip to St. Maarten was from Friday to Tuesday (over Martin Luther King weekend), 4 nights and almost 5 full days was the right amount of time to get too much sun exposure (for someone who typically wears layers of sunscreen, I didn’t do as a good of a job this time) and relaxation. This was our third time on the island – first was on a cruise and a couple of years ago we stayed one night in Grand Case (French side) on our way to St. Barth’s. 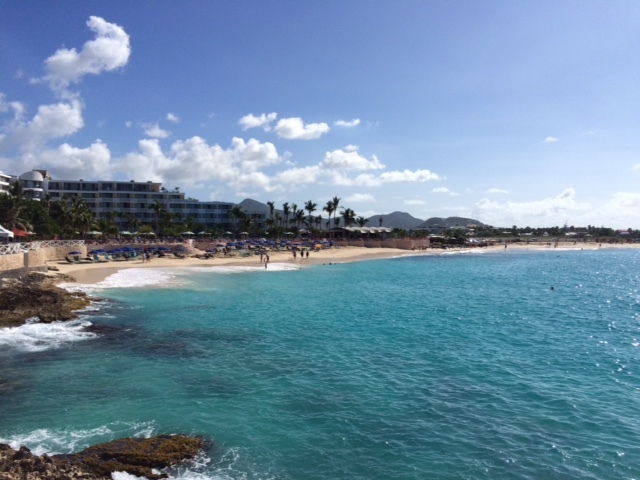 This time we stayed at the Sonesta Ocean Point Resort on Maho Beach. 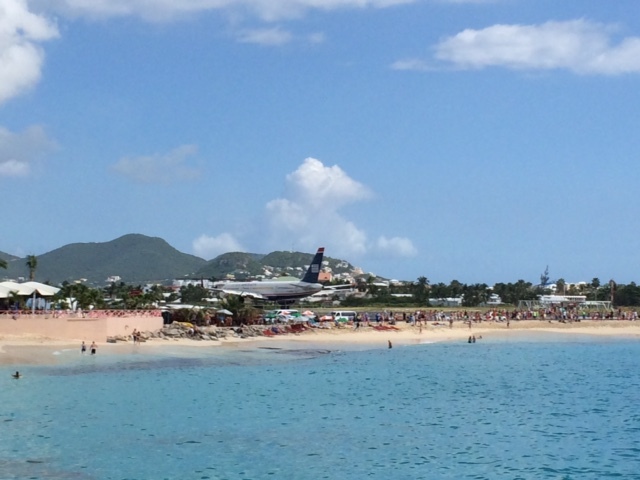 Maho Beach is right by Princess Juliana International Airport (SXM) and is perfect for plane watching. The resort was still under construction, which we knew, but still lacked some details to make it the 5 star resort it is supposed to be. I don’t want to dwell too much about the pros and cons of the resort here but you can read them in my TripAdvisor reviews. 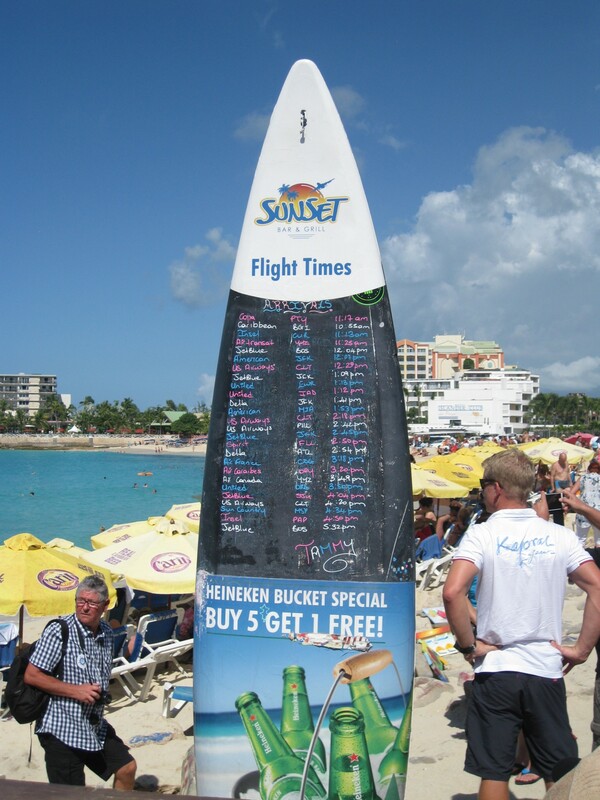 —Daily walks along Maho Beach to Sunset Bar & Grill to see the daily flight board. 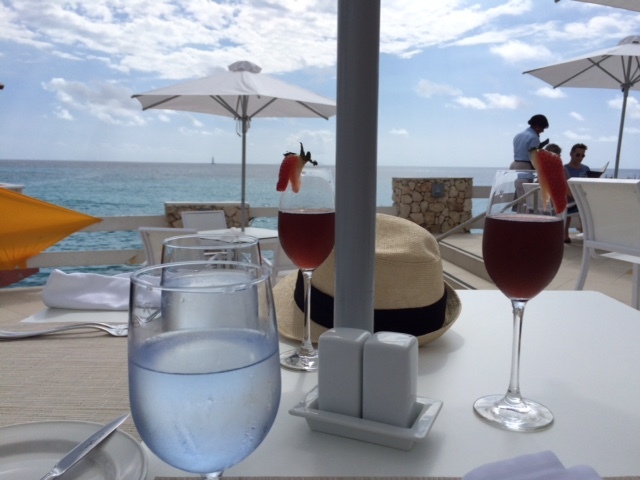 —Plane watching from our hotel pool deck. —Drinking enormous amounts of Fiji water (we thought it was pretty crazy and neat that the hotel predominantly served Fiji bottled water). 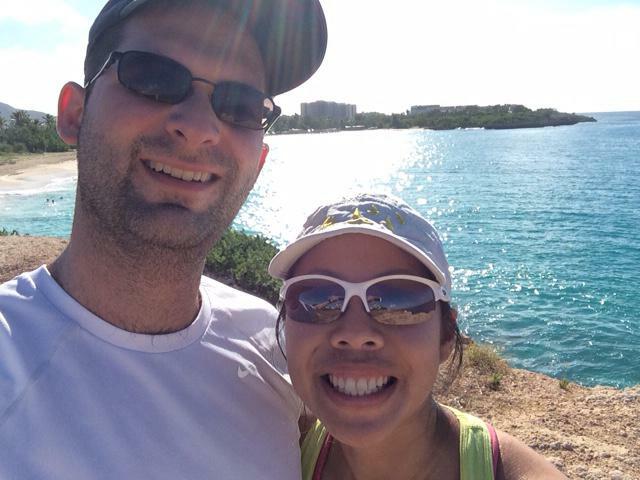 —Run with Josh to Mullet Bay and Cupecoy Beaches. The running path was through Rhine Road, the Mullet Bay Golf Course, and some of the cliffs. It wasn’t the best running path, mostly uneven the whole way and quite hilly. It was roughly 1.5 miles each way, but in the heat and humidity, it felt much longer. —Planking on the beach. I plank on every beach I am on. 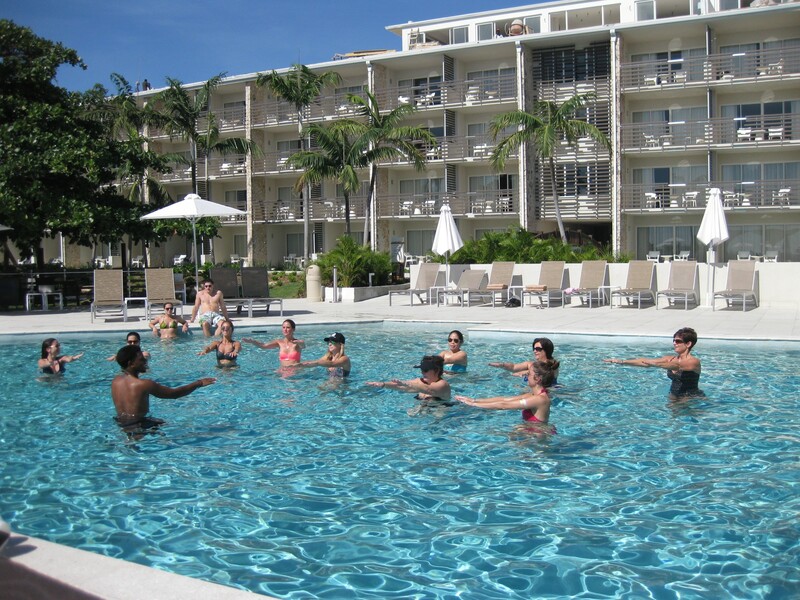 —Water aerobics. It was actually really fun. —Eating an appetizer and dessert with every dinner. I’m very good at treating myself while on vacation. —Lounging and reading by the pool. My choice of books are always quite interesting – If I Stay and Lean In – teenage fiction and business genres. I highly recommend Lean In. It’s a very thought-provoking, moving, and inspirational book for women and men regardless of what industry you’re in. After reading it I have a hard time reading fictional books that portray women in negative light (but I guess that’s why it’s fiction). A reminder of warmer times! 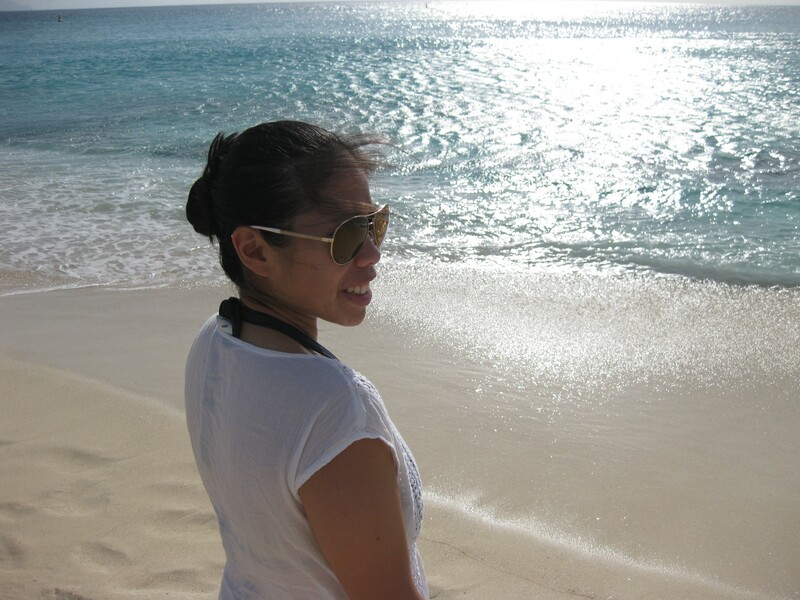 We could have rented a car and drove around to the different beaches and even head over to the French side of the island but were quite content rolling out of bed, to the treadmill (for me), breakfast, and then plopping ourselves by the pool. 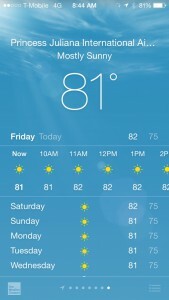 All in all, quite a great vacation! This entry was posted in beach, St. Maarten, travel. Bookmark the permalink.